Yes, the fav turned into a like. The star turned into a heart. Some tweeters were not very happy about this change even though Twitter said engagement was just fine — increased among new users, in fact. Today, we’ve learned that Twitter, which tests many things all of the time, is letting folks play with the ability to share reactions in multiple ways by way of emojis. Forget the heart. And the star. If you want. Does this make the buttons meaningless? More meaningful? I’m not sure yet. Letting people assign their personal feelings when responding to something has charm to it, but even then, people will complain that their emotion isn’t represented. Last week’s events in Paris brought the feelings about being told “how to feel” on Twitter to light. And the argument is more than fair. Can't wait to heart an angry tweet about the latest senseless shooting so the author knows how I feel. CEO Jack Dorsey has applauded Twitter’s march toward simplicity, so this test seems to re-confuse a change that was meant to not be confusing. 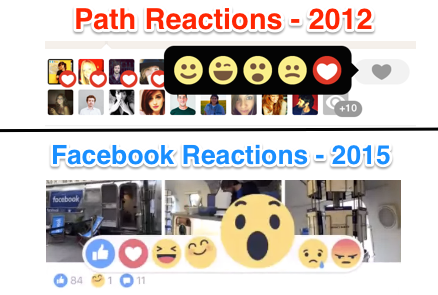 Sure, you can’t “like” or “love” everything, and Facebook has been trying to find a way out of that corner, too, but do too many options just start become annoying? There’s one part of this that would make sense without argument: imagine a paid emoji in place of one of the options. It could be temporary. Could be promoting a brand’s new XXXXXX. Yep, Twitter’s pretty good at figuring out new ways to make money. We’ve reached out to Twitter for comment and will update once we hear back.